McFarlane Toys has posted up the product pages for three new Fortnite figures. These include 7″ scale figures of Jonesy and Dark Bomber, as well as a Deluxe 11″ tall Raven figure. We saw these figures back at Toy Fair 2019, along with a number of other Fortnite releases that are coming soon. The three new figures are scheduled for a June release. The 7″ figures will each include about 22 points of articulation, with game themed accessories, and will be priced at $24.99 each. Dark Bomber includes a Shotgun, and a Thundercrash Harvesting Tool, while Jonesy includes the » Continue Reading. 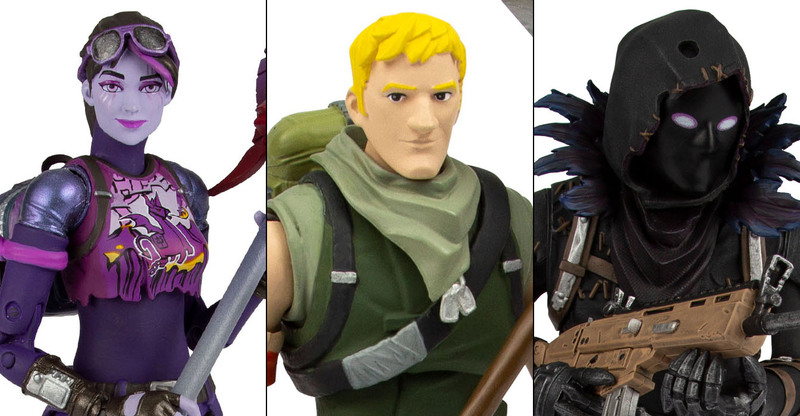 The post Fortnite – Jonesy, Raven, and Dark Bomber Figures by McFarlane Toys appeared first on The Toyark – News.